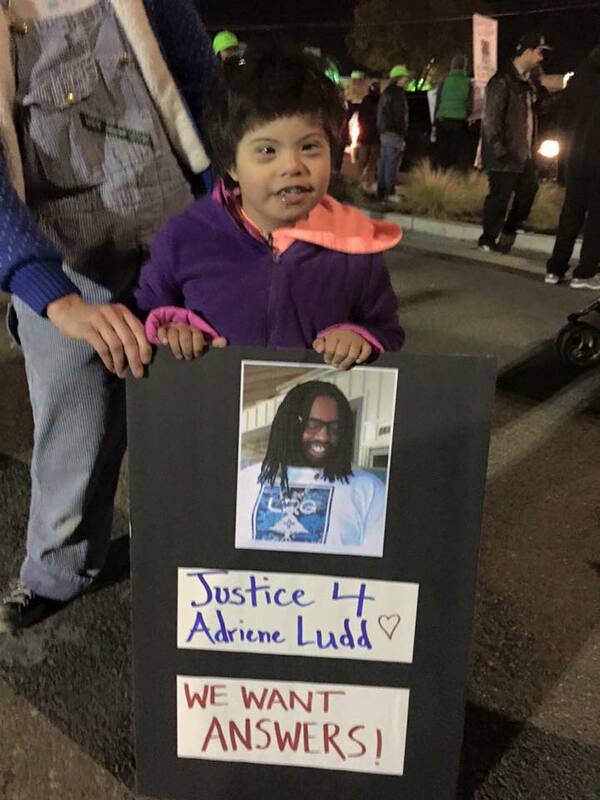 November 22nd marked one month that Adriene Ludd was murdered by the Sacramento Sheriff department. 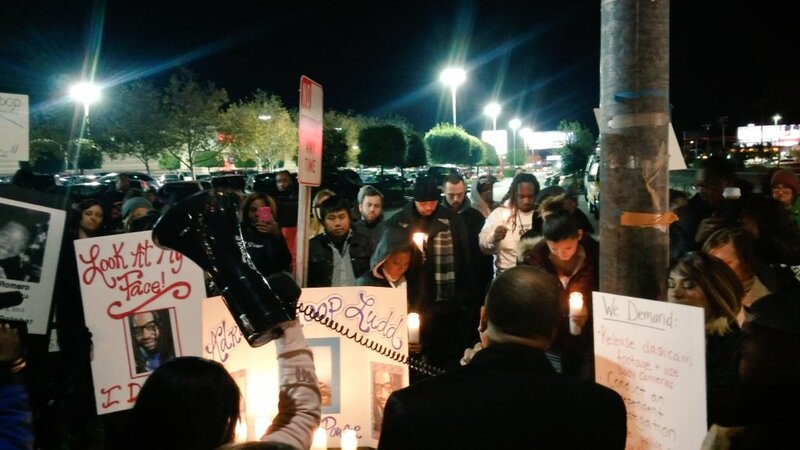 During that month, the family hasn't received any information on the death of their loved one. 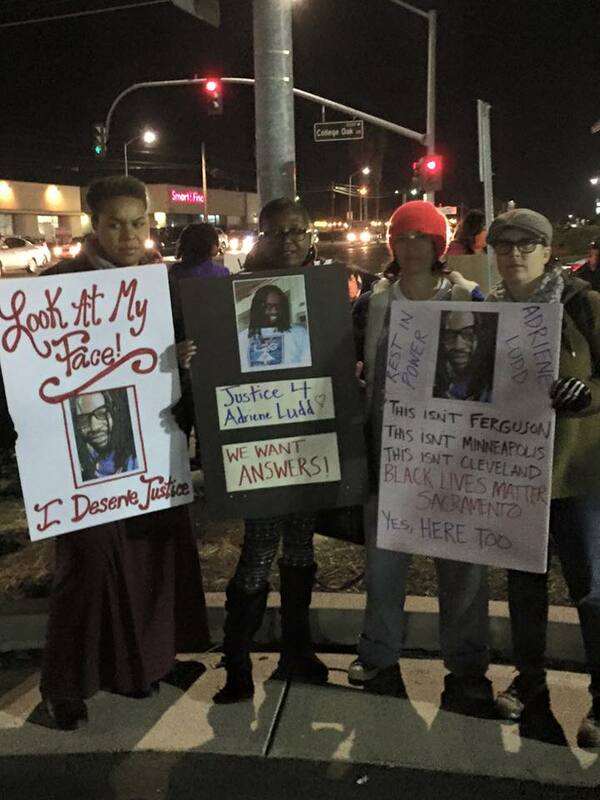 They don't know how many times Adriene was shot. They don't know who the officers names are that shot him. They don't know why his body was left out on the ground uncovered for over 11 hours. They don't know why, when he reached the coroner, he was again left out for 24 more hours. Forcing the family to have to cremate him. The only things that this grieving family does know is that the imagery of Adriene that the media and sheriff department released to the public, was no where near accurate. 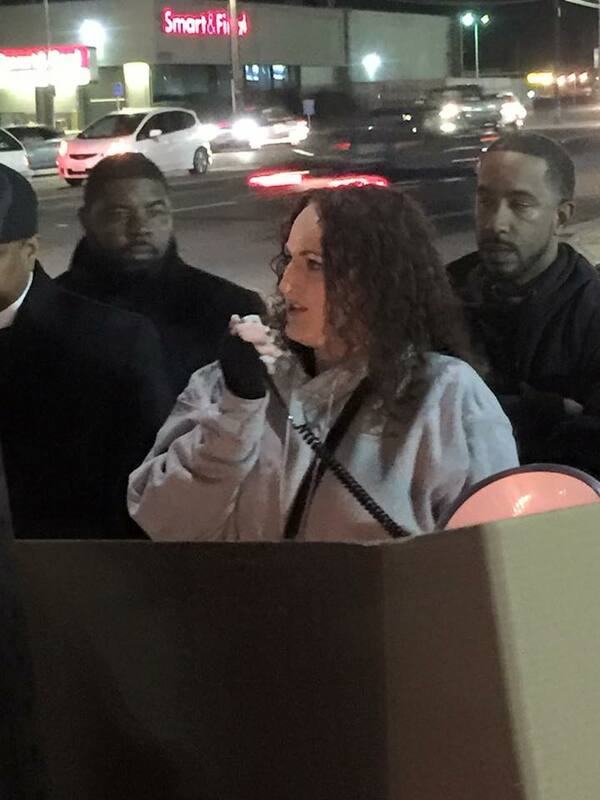 The family had a chance to make their voices heard on Black Friday. 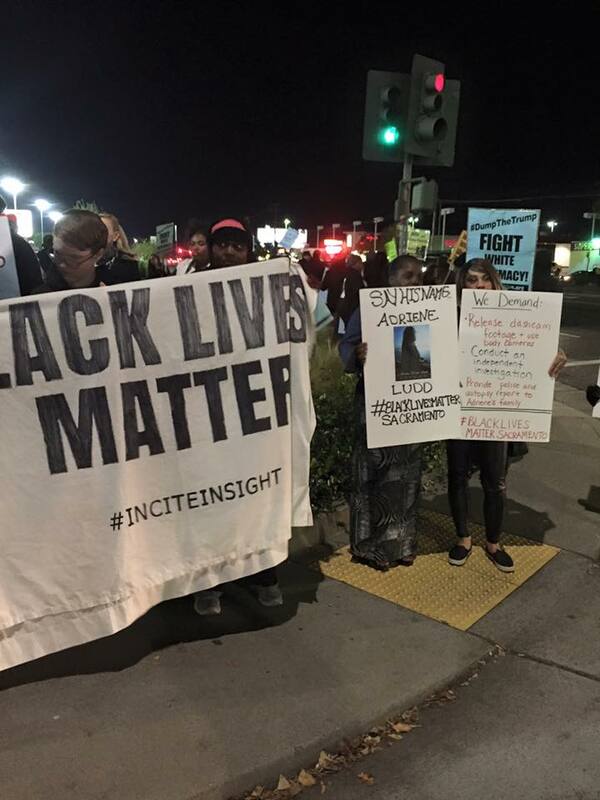 Incite Insight/BlackLivesMatterSacramento hosted a vigil to remember Adriene Ludd through the eyes of those that knew him the best. 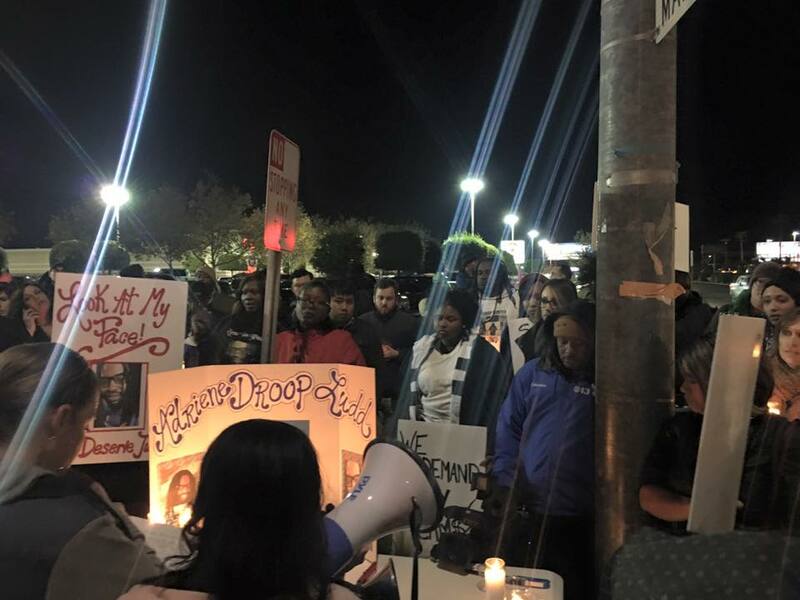 Over 100 people came out to remember Adriene, and to highlight the injustices that happened to Adriene, as well as to others throughout the Sacramento area. II. 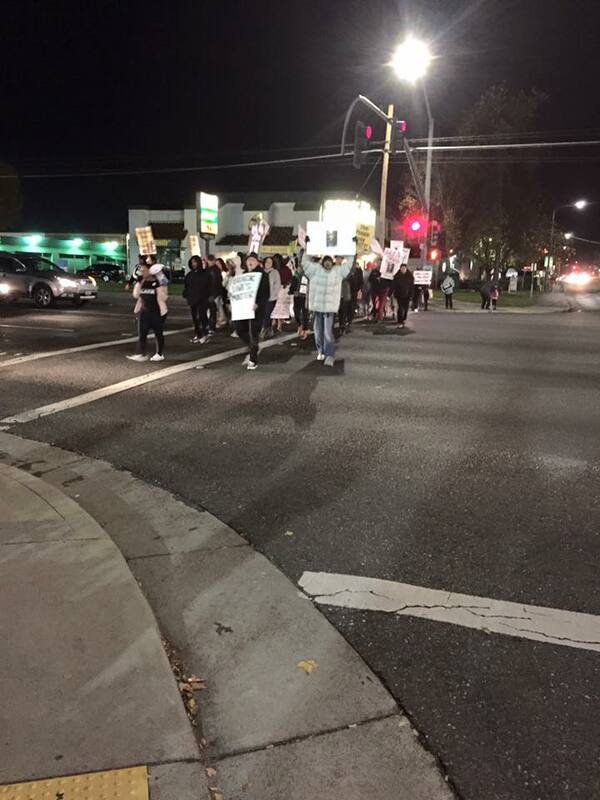 We need the Sacramento Sheriff Department to release the dash-cam footage and for every officer to wear body cams. 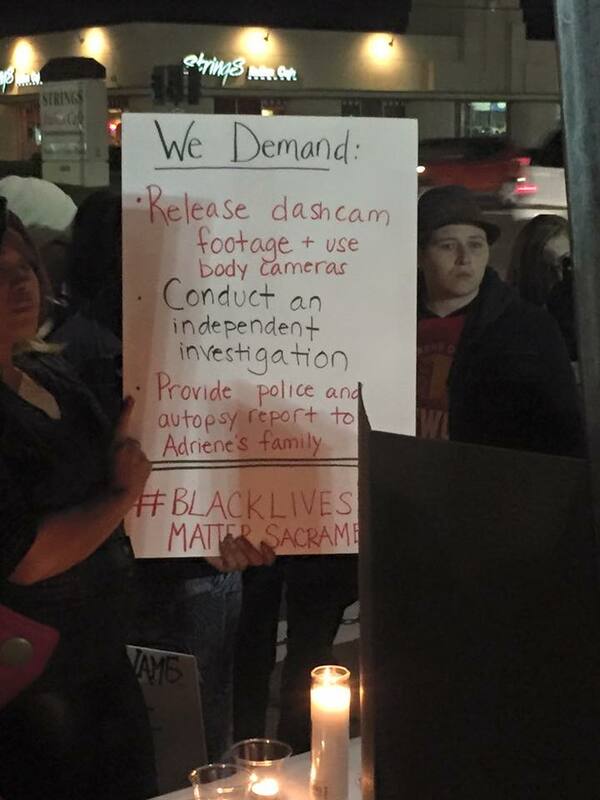 The body cameras should be required to be on, and footage should be public record. III. 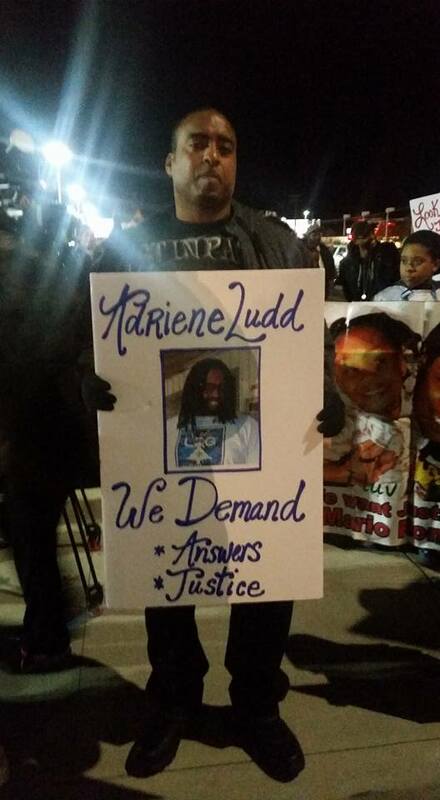 We need the new Inspector General, Rick Braziel, to conduct a complete and honest investigation into the murder of Adriene Ludd. IV. 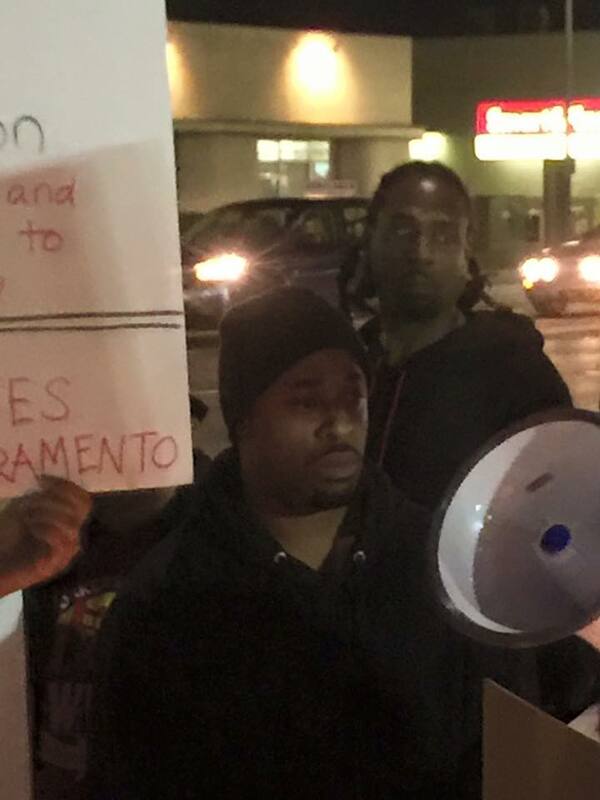 We need the Sacramento Sheriff and Sacramento Police Department, to implement a procedure that complies with AB953. We need to know how it will be implemented. We need to know when it will be implemented. Update California’s definition of racial and identity profiling to be in line with federal recommendations by including other demographic characteristics, such as gender and sexual orientation. 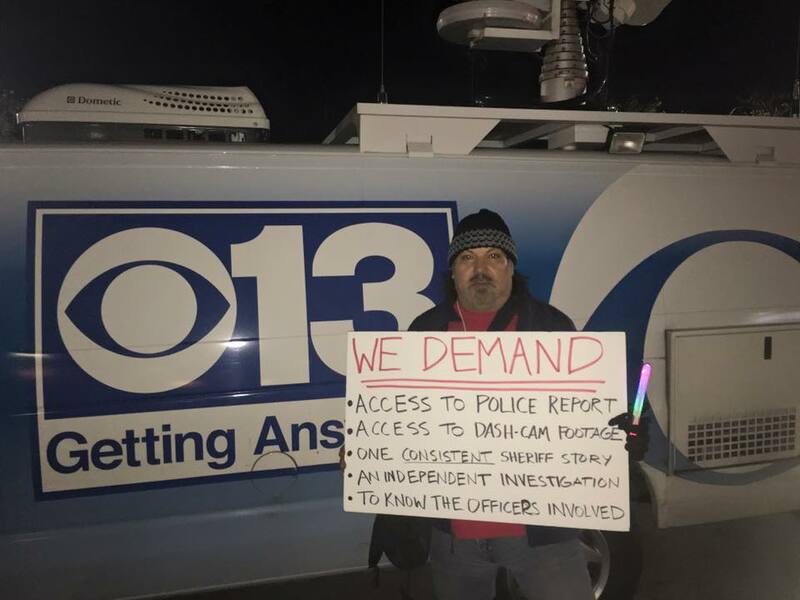 Require that California law enforcement agencies uniformly collect and report data on stops, frisks, and other interactions with the communities they serve. The Sheriff has responded that he is working on it today 11-30-2015. 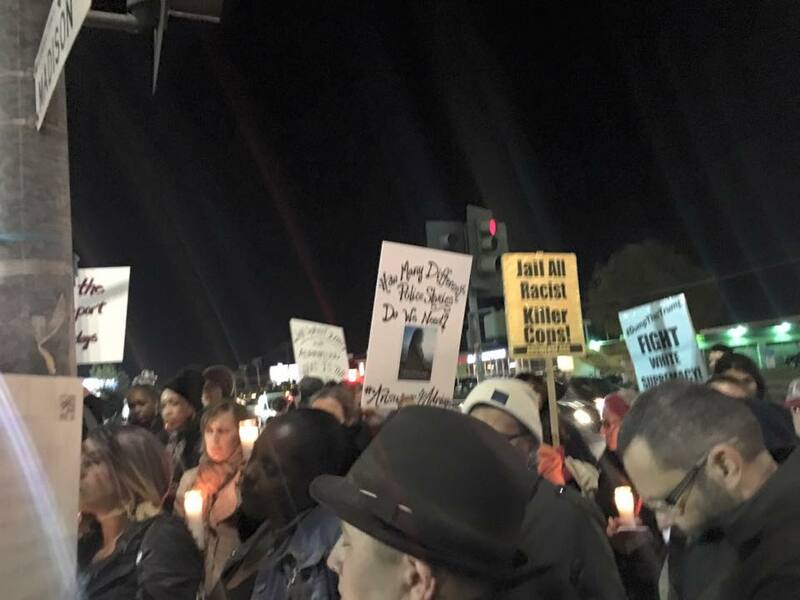 Bringing it back to the vigil. 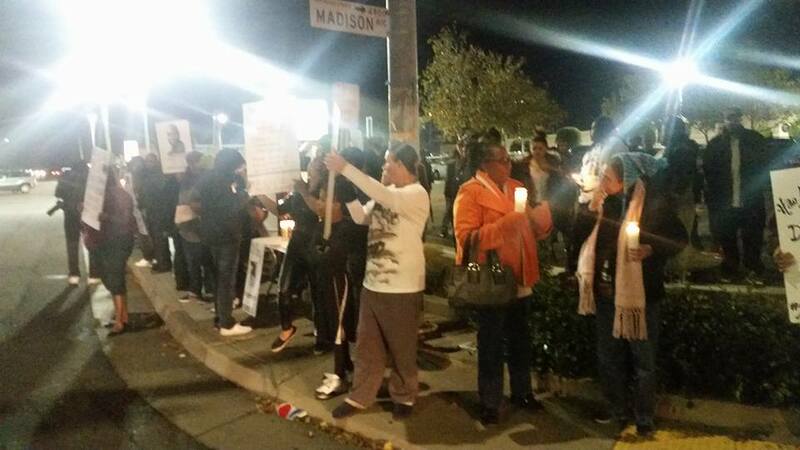 Many came out to remember Adriene. 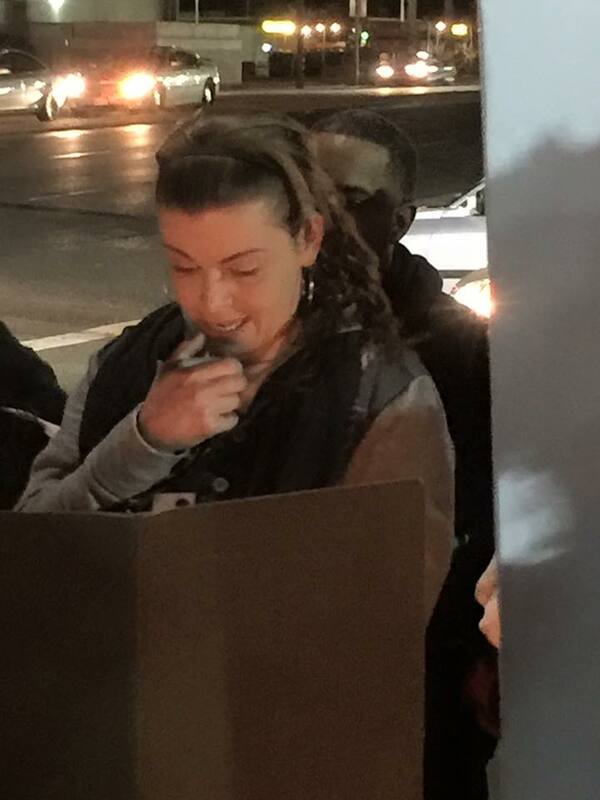 We met at the Target on Madison and listened while family and friends remembered Adriene. 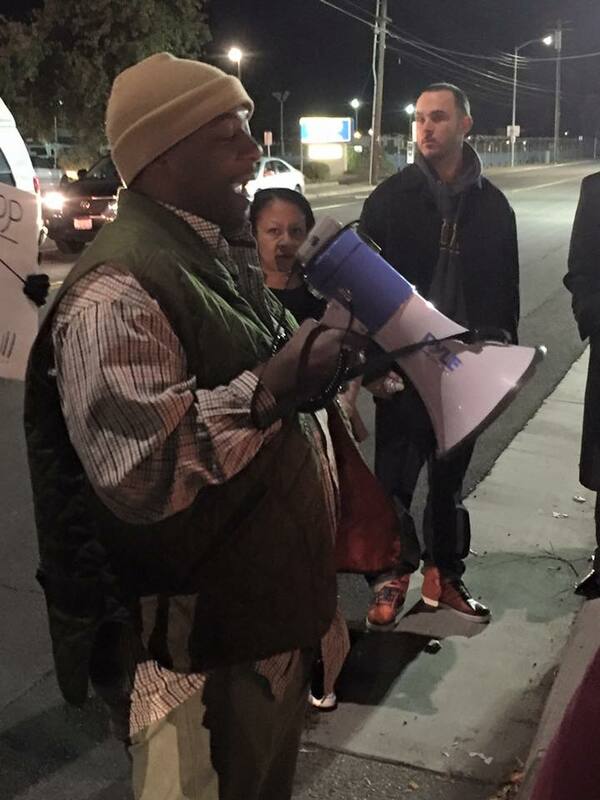 Pastor Davis was there to start us off with prayer, and spoke about how the bible tells us that we are expected to fight for justice. 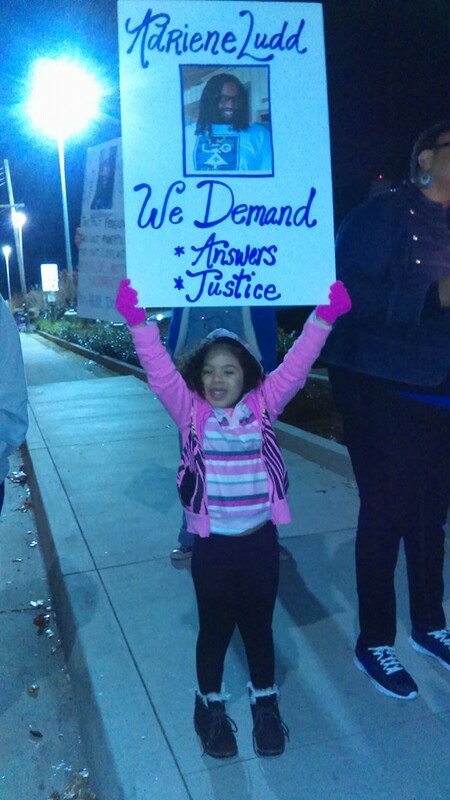 We were joined by Dionne Smith, the mother of James Rivera. 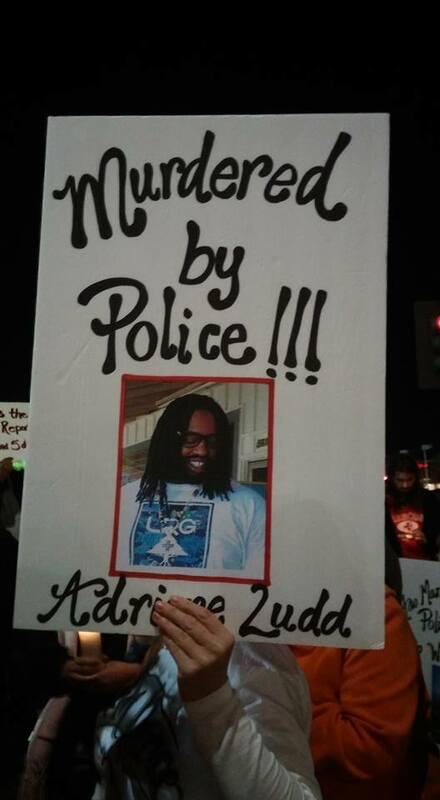 He was also killed by police in Stockton CA. With her Cyndi Mitchell, the sister of Mario Romero. He was also a victim of state violence.